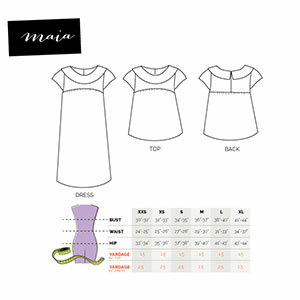 The MAIA is a boho style dress pattern with a curved yoke and mod round collar! The easy shape is flattering for all body types! Easy-to-insert invisible zipper in the back. This pattern includes a top version, also.